The RCBS Lead Dipper features a large-capacity bowl for easy scooping and stirring. 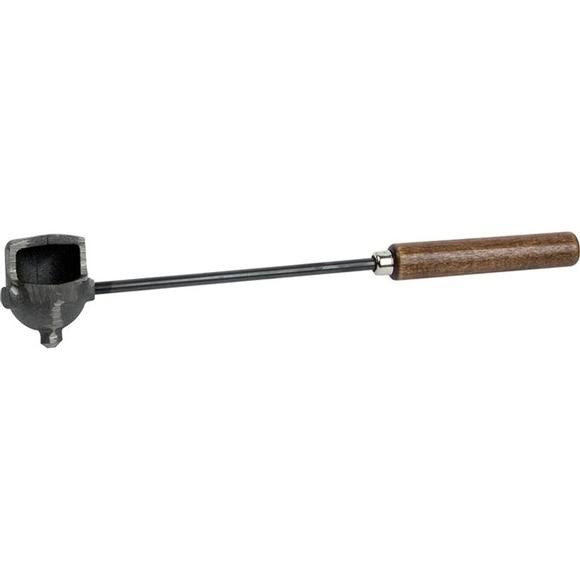 Its tapered pour spout fits sprue holes and the bottom has a square foot to keep it from rolling. The dipper measures 11 1/2 inches long and it has a solid hardwood grip.